﻿ Liability Car Insurance Coverage: What Does It Cover? Home Auto Insurance Auto Insurance Coverage What Is Liability Car Insurance? Liability insurance is an important part of every car insurance policy. When you or a driver covered under your policy are involved in an accident in which either of you is at fault, liability coverage is there to help cover the costs of the other person or persons involved who are not at fault. Coverage limits are displayed as a set of numbers with slashes between them (e.g., 50/100/50). This includes three types of coverage grouped together which are measured in the thousands of dollars. The first number indicates how much your policy will pay out per person for injuries in an accident where you are at fault. The second number indicates the maximum amount your policy will pay out for all people injured in an accident where you are at fault. These limits are referred to as bodily injury liability coverage. The third number is how much your auto insurance policy will pay out for property damages, also known as property damage liability coverage. Reducing your liability coverage limits to the state minimums is an increasingly common way to make your car insurance premium lower, but we wouldn’t recommend it. Let’s say you accidentally cause a wreck in which three people are injured. Let’s also assume your coverage levels are set at 25/50/25. The first two people to file a claim against you could each receive up to $25,000. 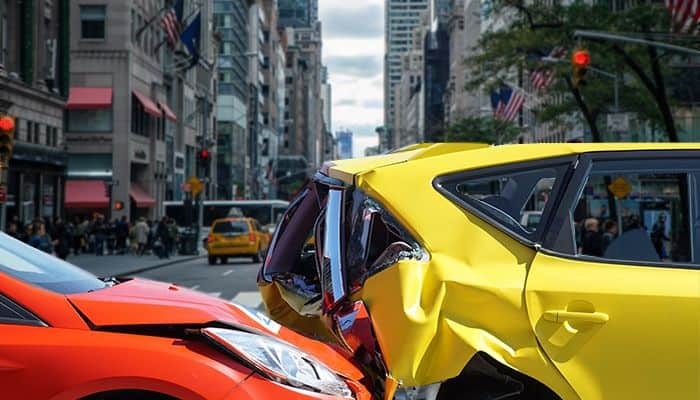 However, because your policy states that it will pay a maximum of $50,000 per accident, the third person will not receive anything, even if they attempt to file a claim with your insurer. What happens next? They have the right to personally sue you to cover their medical expenses if their policy does not have an uninsured motorist clause. Not having enough coverage could potentially land you in some hot legal water. Raising your liability coverage levels doesn’t typically cause a steep rise in your car insurance premium, so it’s worth having the coverage and being protected. Besides, there are safer ways to lower your car insurance payments. Almost every state has a required minimum level of liability coverage that car insurance policyholders in that state must have. The minimum coverage level is typically included in any insurance policy sold, but again, it’s generally a good idea to set these above minimum levels to protect you from unexpected situations like the one above. Liability insurance is a basic, yet necessary coverage included in every car insurance policy. You can feel confident in your selection of coverage limits by using the information provided above. When shopping for car insurance through Compare.com, you’ll find that our pre-set packages make choosing coverage limits simple. For those that want total control over their car insurance policy, we allow you to customize individual coverage options. Start a quote below today and see just how easy it can be to find the best policy at the right price.